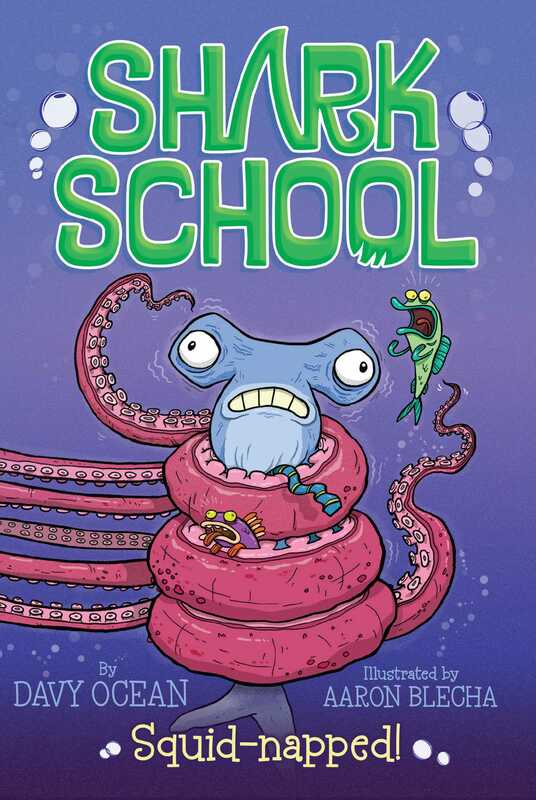 When Harry Hammer decides to leave Shark Point for better waters, he finds squid-tastic trouble instead in this Shark School (mis)adventure. Instead of a super-cool celebration, Harry Hammer’s birthday party turns into a super-colossal embarrassment! Why do his parents always make him feel like a big baby hammerhead in front of his friends—and his arch rival, Rick Reef? Harry decides he’d be better off alone and leaves Shark Point for faraway waters. But he comes face-to-face with a giant squid who hasn’t had his lunch yet! Uh-oh…is the birthday boy on the menu? Davy Ocean is the pseudonym of a collective of writers from the creative agency Hothouse Fiction, based in London. Book Cover Image (jpg): Squid-napped!